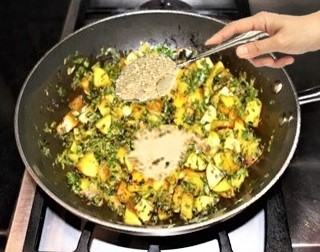 bitter taste, but Indians love the taste especially when they cook with potatoes. 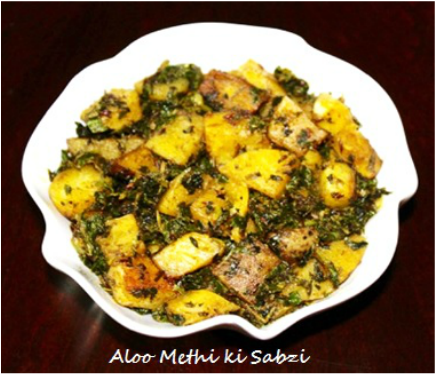 Methi is not only used fresh with other vegetables but it also used dry. 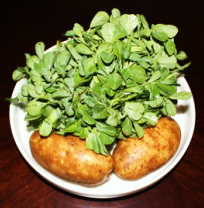 The dry methi leaves are usually known as kasuri methi. 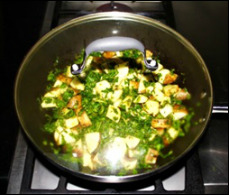 Dry leaves are added to meat curries, dal and other paneer or vegetables dishes to enhance the flavor. 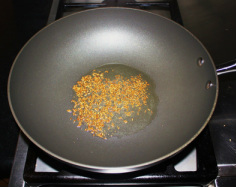 The Methi seeds (fenugreek seeds) are yellow in color and are used as a spice for seasoning some curries and pickles. and washing and cleaning, with a knife chop off the roots of the leaves. leaves off. Tender stems can be left in with the leaves. 5. 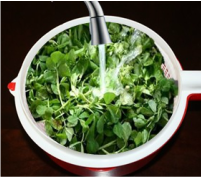 In a colander wash the Methi leaves well. it might take time but you do not want mud in your food. 6. 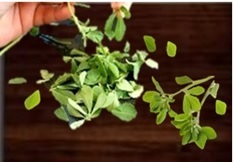 Now take some Methi leaves, bunch them together and chop them coarsely. 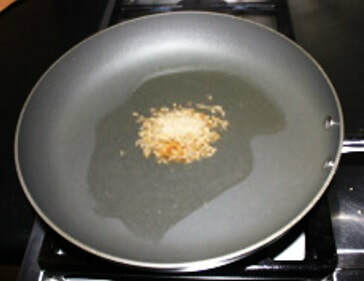 2 to 3 minutes, or until cumin seed become brown. and fry for few seconds. vegetables cook on their own steam. that the spices coat them evenly. 1. 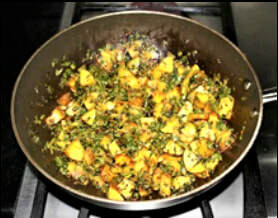 If fresh methi is not available then dry methi could be used to make this dish. 2. 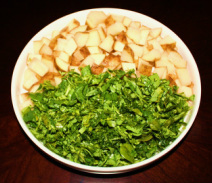 The amount of potatoes or methi could be adjusted according to taste. 3. 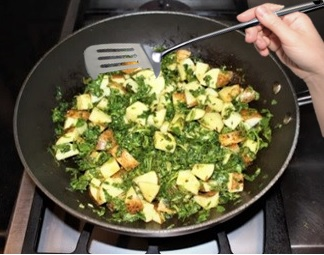 If you wish frist peel the skin of the potatoes then chop them. 4. 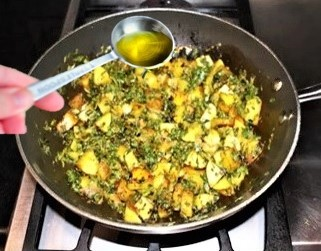 You could also use chopper to chop methi. 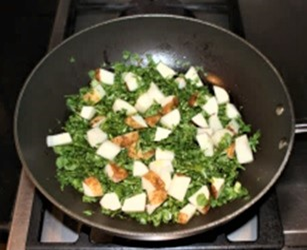 ﻿Please take the time to let me know what you think about my recipe. Your comments would be helpful to me to improve the recipe.